Trying to merge these three objects so these three lines will disappear. How to achieve this? You have placed separate boxes side by side. You have no tools in the free version of SketchUP to join them so that there's no seams. Paid version has boolean operators which do this and thus make the paid version much more easy to use. You must extrude a shape as one if you want it to be one. You can obviously disable edge stroke display. That makes exactly fitting separate parts to look out seamless. Your problem seems to be more severe. The parts are not fitting or they are misplaced. I bet your smallest part has wrong rotational position. 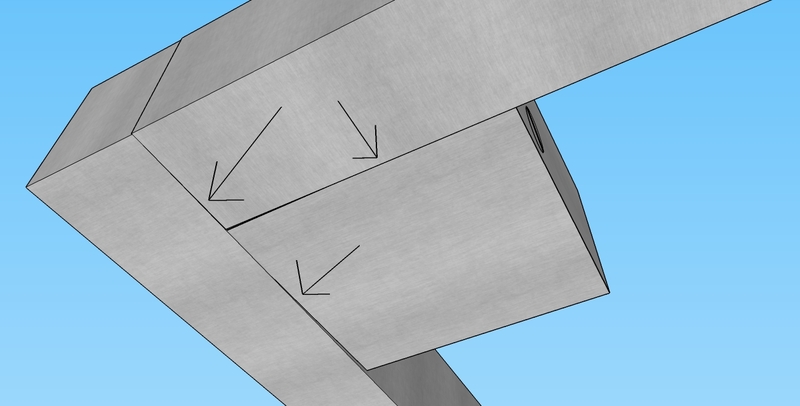 SketchUP is poor if you try to assemble separately made pieces. It's very easy to leave small gaps as you have done. Especially rotations are difficult. You should make the parts in-place to make them fit. 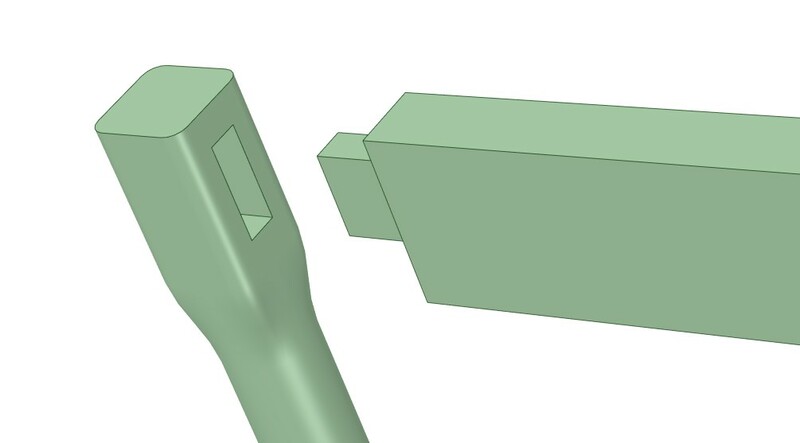 More developed programs allow gap filling for non-fitting parts and assembling fitting separate parts exactly, no matter should some of them be rotated. Easy to use freeware hasn't such functions. Check DesignSpark Mechanical - it's a free 3D modeller with ultra-easy user interface and some tools which are missing from the free version of SketchUP. It outputs files which are readable and usable in SketchUP. The parts are merged in this case automatically as they are drawn. But Merging is not obligatory, it can be disabled to keep some parts separate. In the left all surface pieces have strokes. In the middle only separate parts have edge strokes. In the right there's no strokes. Not the answer you're looking for? Browse other questions tagged sketchup or ask your own question. Sketchup How To Create Two Rectangles and Stack Them on Each Other Without Being Sticky and Distorting and Locking Together? How do I join these two faces together, making the lines between them disappear? how to make a double helix in sketchup? How to align two objects to the same grid (in sketchup free)?